It's almost hard to imagine winter at the moment, in high summer, but so it goes with publishing—it's amazing that any of us remember what season is being published at the moment, so much do we work in the months and years ahead! But close your eyes and imagine the fall chill creeping in, imagine the first snowfall of the year, imagine a group of teens working on the glittery Winter Festival in their small town, while navigating blossoming romance, changing friendships, and the class's mean girls. Jody Corbett at Scholastic brokered the deal for world rights. Congratulations, Heather! It's so happy to have a new Heather Hepler on its way to readers! Curtis Manley's newest picture book deal! One of my favorite things about working with authors is getting to know their voice and writing style, and learning the types of stories they enjoy telling. For some authors, this follows a recognizable pattern—for others, every new manuscript is a joyful discovery. It might not be a surprise to learn that Curtis Manley, picture book author extraordinaire, falls into the latter camp. He is the author of the forthcoming picture books SHAWN LOVED SHARKS (Roaring Brook), and THE SUMMER NICK TAUGHT HIS CATS TO READ (Paula Wiseman Books). Today, however, I'm here to tell you about a picture book that is entirely new and different. THE CRANE GIRL is the gentle, gorgeously written retelling of an ancient Japanese folk tale about a boy who finds a wounded bird in his yard. The choices he makes that night will shape his life and the lives of those around him. The story is told in a mix of prose and haiku, and is a wonder. It's a stunning tale that will make a stunning picture book—and I'm thrilled to announce that it has been acquired by the smart and savvy Jessica Echeverria, at Lee and Low! Hooray for Curtis—and keep a lookout for this incredible book, everybody! Not Very Scary, but Definitely Starry! 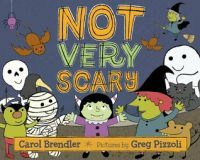 Congratulations to Carol Brendler and NOT VERY SCARY for its first starred review! Publisher's Weekly calls it "a delightful Halloween romp that's part counting book, part tongue twister." They love how the book is "comically ghoulish" and more "cute than bloodcurdling." We feel the same. Thanks, PW! Sometimes things in this business are really hard. They're full of obstacles and complications, difficult decisions and frustrating turns. Sometimes, they're so simple and easy that every step is a pleasure. The latter was the case with Calista Brill and TUGBOAT BILL (which happens to rhyme). Calista, who is a senior editor at First Second, the graphic novel imprint at Macmillan, reached out to me in the spring, seeking an agent. It just so happened that she did so during a week when I was visiting New York for meetings. It just so happened that I would be in the Flatiron, where her office is, the next day, and it just so happened that I had an unexpected opening in my schedule, and she was free during that time. So we got together, and we hit it off, and before I headed home to Arizona, we'd shaken hands via email and decided to be a team. Calista had an adorable picture book about a tugboat named Bill and his best friend Mabel (a barge), who ply the waters of the Hudson, and what happens when a kitten falls into those freezing waters. She had shared it with a former colleague, Nancy Inteli, at Harper; they had worked together previously at Disney. It just so happened that I had lunch scheduled with Nancy that very week that I was in New York, on my last day, and Nancy expressed her enthusiasm for the picture book. Needless to say, the deal wrapped up quickly after that. But we waited to share the news until there was an illustrator on board, too, and so I am very pleased to share the word that the superfantabulous Tad Carpenter, whose most recent books are ZOOM! ZOOM! and NINJA, NINJA, NEVER STOP!, is officially official as the illustrator of TUGBOAT BILL, which is scheduled to release in summer 2016--the same time as the first of six books in Calista's recently announced LITTLE WING series, also at Harper, releases. She's about to get a whole lot busier! Congratulations, Calista! A Parents Choice Award Silver Honor to THE SOCCER FENCE! It's not just gossip--this cover is great! Anna Staniszewski has had a busy month and it's not slowing down any time soon! Check out the cover of the third installment of her Dirt Diary series, THE GOSSIP FILE. It fits perfectly with the first two books. Look for it January 6th, 2015. Congratulations, Anna! Pass around the cupcakes, it's party time! Pull out the pastries and raise them in honor of Tara Dairman's ALL FOUR STARS! Happy book birthday, Tara! Make sure you stop by her ten-day-long blog tour celebrating the debut if you can. It's super sweet! As always, may this book find its way to readers everywhere! Today is a wonderful day for cover reveals! Lynda Mullaly Hunt's next book, FISH IN A TREE, is stunning! In fact, check out all the good things Nerdy Girl Book Club had to say about the cover here. Look for this one in February 2015 from Nancy Paulsen Books. Congratulations, Lynda! We love the colors! BURNING is out and it looks exciting! Here's the new cover for Trent Reedy's upcoming second book in the DIVIDED WE FALL series, BURNING NATION. Look for it January 2015. If you haven't read the first book, go check it out! You won't regret it. Congratulations, Trent, the cover looks amazing! Going to Sleep Gets a STAR! 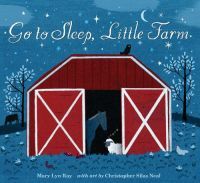 GO TO SLEEP, LITTLE FARM by Mary Lyn Ray gets its first starred review! Publisher's Weekly praises the "repeated, pleasingly surreal lines of verse" which "convey the sense of drifting into slumber." They compare it to Margaret Wise Brown's GOODNIGHT, MOON for its lullaby quality and say "it's a keeper." We agree! Congratulations, Mary Lyn! No, it's not a prank! It's THE PRANK LIST'S book birthday! A happy release day to Anna Staniszewski's THE PRANK LIST! This book is the hilarious sequel to THE DIRT DIARY and is available today in paperback or digital copy. For added fun, check out the link to Anna's guest post on Cynthia Kennedy Henzel's blog about Anna's inspiration behind THE PRANK LIST. As always, we wish good things for this book and especially for it to find its way into the hands of readers everywhere! Congratulations, Anna!